Article, created to help you removeCYR-Locker ransomware and try decrypting encoded files. A ransomware infection, known by it’s name CYR-Locker has been detected by malware researchers recently. The virus encrypts the files on the computers it infects and after this, requires the users to pay a hefty ransom fee to decrypt the encrypted files. This ransomware infection also performs several other activities, such as display a screen with message that asks the user to pay 10 million into a BitCoin account, but does not specify in what currency or value, only that victims have 24 hours to comply or they will permanently lose their files. 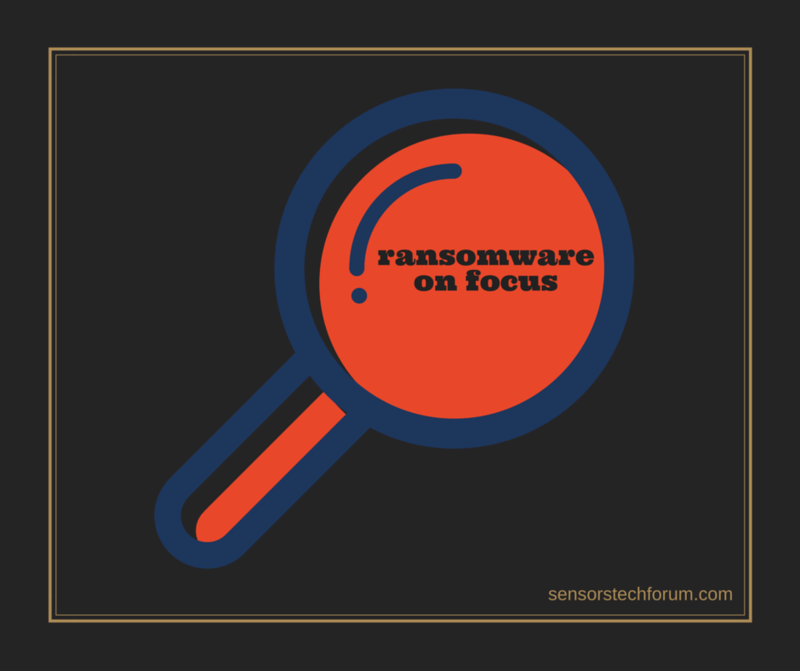 We advise you to read this article thoroughly to learn completely about CYR-Locker ransomware and know how to remove it and try and restore encrypted files. Short Description The malware encrypts users files using a strong encryption algorithm, making direct decryption possible only via a unique decryption key available to the cyber-criminals. Symptoms The user may witness ransom notes and “instructions” that may appear on the desktop after encryption takes place. User Experience Join our forum to Discuss CYR-Locker. 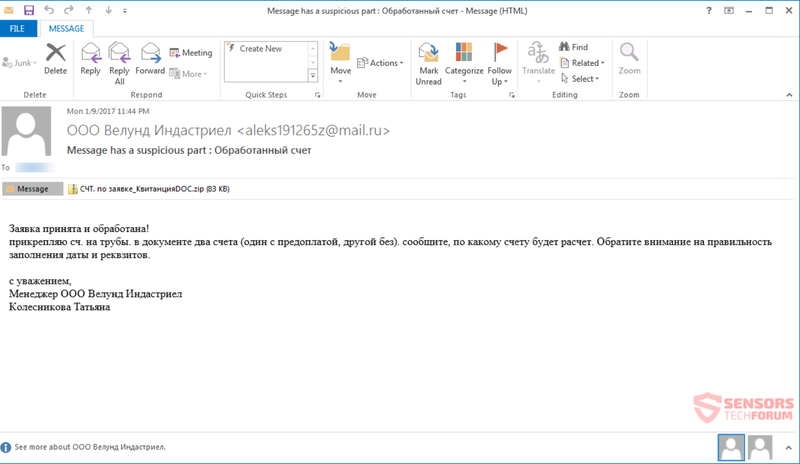 Such e-mails usually contain malicious e-mail attachments embedded in them either by download URLs or directly attached to the e-mail. The attachments may be of multiple different file types and usually resemble legitimate documents but are nothing like the real thing. Instead they may infect the computer in concealed manner, using obfuscated malware. Then the payload of the CYR-Locker virus may be downloaded onto the computer which consists of two executables – one named CYR-Locker.exe, the other one with random numbers in it. But this is by far not all that this virus does. This ransomware infection also performs multiple other activities such as touch multiple files of Windows to change settings, delete shadow volume copies and other backups of files and most importantly encrypt files on the computers it infects. “Your personal files are encrypted by CYR-Locker. Your documents, photos, databases and other important files have been encrypted with strongest encryption and unique key, generated for this computer. Private decryption key is stored on a secret Ineternet server and nobody can decrypt your files until you pay and obtain the private key. You only have 24 hours to submit the payment. If you do not send money within provided time, all your files will be permanently crypted and no one will be able to recover them. I need money amount from you just 10 millions send through Bitcoin into account: CYR-Locker. For the removal process of CYR-Locker ransomware, advices are to backup your encrypted data initially. Then, recommendations are to focus on removing this ransomware infection from your computer. The removal of this ransomware infection from your computer can also be performed using an advanced anti-malware program. This program can not only completely remove the malware from your computer but also perform several other activities like protect your computer against most types of malware out there in the future as well. After having removed this ransomware infection from your computer, recommendations are to focus on trying to restore the encrypted files. We have suggested several alternative methods that can help you perform this in step “2. Restore files encrypted by CYR-Locker”. Threats such as CYR-Locker may be persistent. They tend to re-appear if not fully deleted. A malware removal tool like Combo Cleaner will help you to remove malicious programs, saving you the time and the struggle of tracking down numerous malicious files. Threats such as CYR-Locker may be persistent on your system. They tend to re-appear if not fully deleted. A malware removal tool like SpyHunter will help you to remove malicious programs, saving you the time and the struggle of tracking down numerous malicious files. Note! Your computer system may be affected by CYR-Locker and other threats. SpyHunter is a powerful malware removal tool designed to help users with in-depth system security analysis, detection and removal of threats such as CYR-Locker. 1. Install SpyHunter to scan for CYR-Locker and remove them. 2. Scan with SpyHunter, Detect and Remove CYR-Locker. Ransomware infections and CYR-Locker aim to encrypt your files using an encryption algorithm which may be very difficult to decrypt. This is why we have suggested several alternative methods that may help you go around direct decryption and try to restore your files. Bear in mind that these methods may not be 100% effective but may also help you a little or a lot in different situations. Note! Your computer system may be affected by CYR-Locker or other threats. Remove CYR-Locker by cleaning your Browser and Registry. Fix registry entries created by CYR-Locker on your PC. Combo Cleaner is a powerful malware removal tool designed to help users with in-depth system security analysis, detection and removal of threats such as CYR-Locker. Step 5: In the Applications menu, look for any suspicious app or an app with a name, similar or identical to CYR-Locker. If you find it, right-click on the app and select “Move to Trash”. Step 6: Select Accounts, after which click on the Login Items preference. Your Mac will then show you a list of items that start automatically when you log in. Look for any suspicious apps identical or similar to CYR-Locker. Check the app you want to stop from running automatically and then select on the Minus (“–“) icon to hide it. Remove CYR-Locker – related extensions from your Mac’s browsers. A pop-up window will appear asking for confirmation to uninstall the extension. Select ‘Uninstall’ again, and the CYR-Locker will be removed. When you are facing problems on your Mac as a result of unwanted scripts and programs such as CYR-Locker, the recommended way of eliminating the threat is by using an anti-malware program. Combo Cleaner offers advanced security features along with other modules that will improve your Mac’s security and protect it in the future. Hey !, I found this information for you: "CYR-Locker Ransomware Remove and Restore Encrypted Files". Here is the website link: https://sensorstechforum.com/cyr-locker-ransomware-remove-restore-encrypted-files/. Thank you.